Fidelity Investments said it will launch a student loan assistance program early next year that will contribute up to $10,000 to pay federal student loans of employees who have worked there at least six months. Company benefits used to be pretty standard fare — life insurance, retirement, maybe some paid parental leave. Now, companies desperate to hire the best and the brightest young workers are starting to offer a new perk: help paying off college loans. It’s a powerful lure for a generation of graduates struggling to pay off college debt as they set out on their own. The number of companies offering loan help is small, but on the rise. Natixis Global Asset Management S.A., a Boston-based unit of the French financial firm Natixis, announced Tuesday that it will contribute up to $10,000 to pay federal student loans of employees who have worked there at least five years. 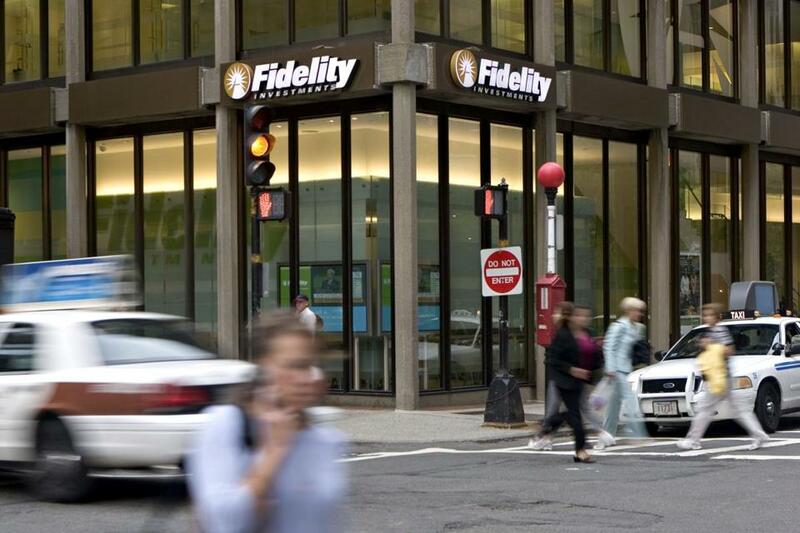 Fidelity Investments said it will launch a student loan assistance program early next year, also offering $10,000, and PricewaterhouseCoopers, the global auditing and consulting firm with 3,000 employees in Greater Boston, will roll out a plan on July 1. Massachusetts Mutual Life Insurance Co. and Bright Horizons Family Solutions LLC, the Watertown early childhood education provider, said they are considering their own programs. Student loan help as a workplace perk was pioneered by the federal government, which offers debt forgiveness to attract people to lower-paying public service jobs such as teaching. Private firms are now following suit, underscoring how big an issue student debt has become as college costs balloon and more people seek degrees to compete in the knowledge economy. Economists say that outstanding college debt — which has more than doubled to $1.2 trillion since 2007 — is hindering young adults and forcing them to delay starting families, buying homes, and saving for retirement. Companies, however, aren’t tackling the student loan problem just to boost the finances and morale of their workers, analysts said. Millennials — adults in their 20s and early 30s — are now 83 million strong and outnumber baby boomers. As the economy improves and the labor force tightens, employers are seeking ways to attract young workers and retain them, said Bruce Elliott, a manager for compensation and benefits at the Society for Human Resource Management, a Virginia-based trade group. Such benefits promise to be popular. Fidelity is still cementing details of its program, aimed at employees at the lower end of the pay scale, but the initial reaction has been more than enthusiastic, said Jennifer Hanson, the senior vice president of human resources at the Boston-based fund giant. “You don’t usually get high fives in the hallway,” she said. Only 3 percent of companies offer student debt repayment, according to a survey by the Society for Human Resource Management, but the trade group expects it to become widespread in the next five years. Supporters of repayment programs are lobbying Congress for legislation to make these employer contributions tax exempt for workers. Such contributions are now considered taxable income. Meanwhile, technology companies that provide the software to manage student loan repayment benefits for companies are flourishing. The Boston startup Gradifi Inc., which is working with PricewaterhouseCoopers, expects to double its workforce to 32 in the next nine months, said Tim DeMello, the company’s chief executive. In November, MassMutual led a group of investors that put $5 million into Tuition.io Inc., a California student loan management company that specializes in company-sponsored repayment programs. MassMutual, which sells life insurance and manages 401(k) plans, backed Tuition.io because it is hard to persuade young adults to save for retirement and set aside money for life insurance when they are burdened by college loans, said Mark Goodman, managing director of MassMutual Ventures, an investing arm of the company. But whether these workplace debt repayment programs will make a dent in the student loan problem is unclear. Companies rolling out these programs are likely ones that already compensate their employees well, making these workers less at risk of defaulting on student loans, said Lauren Asher, president of The Institute for College Access & Success, a California nonprofit that advocates for more affordable education. And they don’t address the underlying problem of skyrocketing college costs, she said. Average student debt has climbed 60 percent to about $29,000 from about $18,000 in 2007, according to the US Department of Education. Some workers say they would prefer higher pay to student loan contributions. Lauren Pespisa, a 27-year-old Web developer in Somerville, said she can see the benefit helping those with big college debt. But Pespisa’s credit card balance is currently larger than her $8,000 in student loans.